A gated neighborhood bordering an Arnold Palmer signature golf course, Miramar stands as one of Lakewood Ranch’s most desirable condo communities. 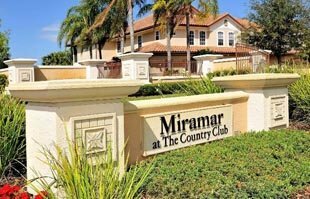 Miramar at The Country Club is located on the corner of University Parkway and Lorraine Road, across the Sarasota Polo Club at Lakewood Ranch. With its lovely surroundings and cozy clubhouse, prospective buyers will be thrilled to see the listing for Miramar real estate. Miramar condos for sale offer plenty of living space. With a floor plan of 1421 to 2997 square feet, there sure is a lot of room to enjoy the wonderful view of the rolling greens and bunkers of Legacy Golf Club. The price for each unit ranges from the $200s to the 300s. Moreover, Miramar’s grounds are nothing short of exquisite. Captivating fountains spring from the shimmering lakes, in addition to a delightful garden fountain. You can take leisure strolls or romantic walks along the lush landscape and watch the incredible beauty of the sunset from the jetties. The community’s clubhouse presents plenty of activities for fitness and recreation. 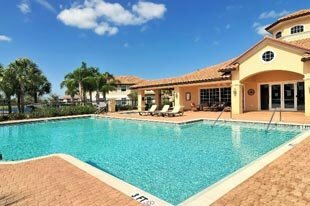 Residents can enjoy the gorgeous Florida weather by the resort-style pool and spa or play billiards inside the clubhouse. There is a widescreen TV with a comfortable couch and armchairs, which are great for movie nights or watching the game of the season with the neighbors. An 8500-acre community with a number of 18-hole golf courses, Lakewood Ranch is a serious advocate of the sport. The Country Club alone has three championship golf courses—Cypress Links, King’s Dunes, and Royal Lakes—that cater to all playing levels. The fairways near Miramar were designed by golf legend Arnold Palmer. Aside from golf, Lakewood Ranch Country Club offers 18 lighted tennis courts on a separate tennis facility, which includes shower and locker rooms, as well as the Players Club Deli and its signature lobster bisque. An Athletic Center features a resort-style pool and a Junior Olympic 8-lap pool, with a state-of-the-art fitness center. Various community activities are often scheduled at the Town Center, particularly Main Street. Savor the delectable selection of cuisines along the palm-lined walk or watch award-winning movies at Lakewood Ranch Cinema. There are also several boutique style shops to explore and numerous events to enjoy, such as Music on Main every first Friday of the month. There is never a dull moment at Lakewood Ranch, even when you want to take it easy. The vast agricultural-land-turned-master-plan has dedicated itself to preserving the abundant woodlands and wetlands in the area. Witness wildlife in their natural habitat as you hike through miles of nature trails or jog for your health while discovering the breathtaking natural beauty of the community. 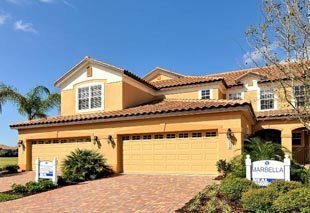 Certainly, Miramar residents enjoy the excellent lifestyle that Lakewood Ranch offers. The superb neighborhood and wonderful townhomes at Miramar show how great it is to belong to such an award-winning community.